A still from "Abacus: Small Enough to Jail," Steve James' new documentary chronicling the saga of the only U.S. bank indicted for mortgage fraud related to the 2008 financial crisis. The last time acclaimed filmmaker Steve James (Hoop Dreams, Life Itself) collaborated with FRONTLINE, the result was, The Interrupters — the gripping documentary about former street criminals in Chicago who place themselves in the line of fire to stop shootings and killings in their communities. Now James has turned his lens on people in a different kind of struggle: the Sungs, a Chinese American family whose Abacus Federal Savings Bank was the only U.S. bank indicted for mortgage fraud related to the 2008 financial crisis. Abacus: Small Enough to Jail will have its world theatrical premiere at the Toronto International Film Festival this Sunday, Sept. 11. 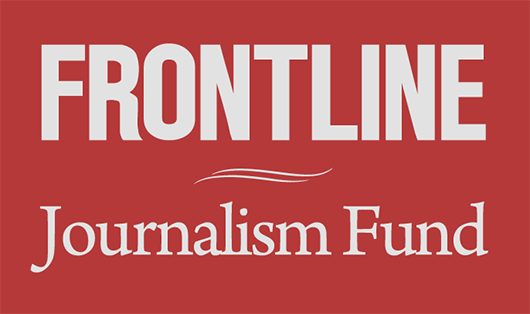 A broadcast version for FRONTLINE is slated to premiere in 2017. 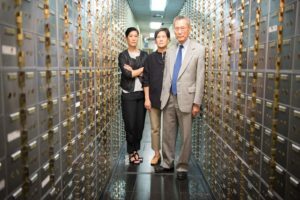 The film examines the case against the bank, hearing from prosecutors, jurors, defense lawyers, and the bank’s founder, Thomas Sung, his wife Hwei Lin, and their daughters, who James filmed over a year as they fought to clear their names. Abacus: Small Enough to Jail is a project by Mitten Media, Motto Pictures, Kartemquin Films, FRONTLINE, and ITVS. Stay tuned to FRONTLINE’s website for more details on the 2017 broadcast premiere.